Whether you’re a camping beginner with little to no tents knowledge or you’re an experienced pro looking for your next best bit of kit, the collection of tents for sale at Tents South Africa has something to offer everyone. From the best reasonable camping tents for outdoor of all sizes to high tech, high-quality waterproof tents that are manufactured with the most thrilling of adventurers in mind, no matter where your next trip is taking you, we’ve got the best tents for you. 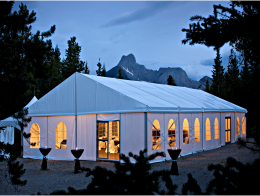 We manufacture tents, marquees, alpine tents, stretch tents, canvas tents, frame tents, pagoda tents, peg and pole tents, aluminium tents, tents for corporate events and large exhibitions also for parties and pristine weddings. We pride ourselves in giving customers the best tents each and every time thanks to our experienced and skilled manufacturing and sales team and technological advances in our machinery. 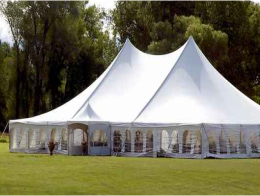 Tents South Africa offers workmanship assurances on tents. Our company have made it stress-free for customers to pick up their tents by having over 26 sales branches all over South Africa. We have devoted ourselves to manufacturing best quality tents at the most affordable prices. Our low prices do not mean that we negotiate on quality, all tents are manufactured to the maximum standard. For more info please send a free quote to info@tentssouthafrica.co.za or you can call us at 087 056 2551 and one of our sales experts will guide you to purchase your tent. Tents biggest sale by Tents South Africa have re-invented the tent manufacturing world with ingenuity and innovative strategies. We are the best entrepreneurs throughout the world that give quality and affordability all in one package, manufacturing, supplying, wholesaling and distributing tents. Tents South Africa offers a 10-year workmanship guarantee with our head office being located in Durban South Africa. We have the skill and capability to build a tent according to customer’s requirements. 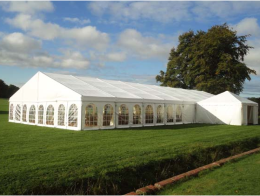 Our tents and marquees are manufactured and supplied only of the highest order and we always keep stock of tents. Tents South Africa will beat any written quotation and match the similar quality as the opposition. Tents South Africa run time is 24/7 for most of our products no need to phone because we always keep stock for your desired item. 50% Deposit is required when buying a tent from us and once the two weeks are up you pay your balance and pick from any one of our branches throughout South Africa. All our materials are imported from overseas so our customers are given peace of mind that they are receiving only the best. 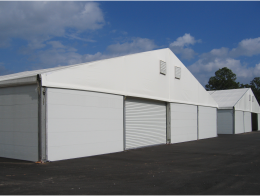 We totally understand the demands and requirements of the tent and have manufactured superior products to meet them. The best care goes into manufacturing and designing our individual tent products. We are continuously doing research and development to be ahead of modern day demands. Our sales team has ample knowledge and the perfect mindset, guaranteeing all our customers a superior product and the peace of mind that goes along with it. For customers who cannot pay 50% or cash, we offer them a 2-month lay-by. We manufacturer stretch tents, canvas tents, camping tents, aluminum tents, alpine tents, frame tents, peg and pole tents, classic tents, church tents, pagoda tents, inflatable tents, function tents, marquee tents, Bedouin tents, storage warehouse tents, disaster tents, catering equipment, lighting, decor, branding, cheap tents for sale by being the leading manufacturer. Why would it be best to Purchase from Tents South Africa? 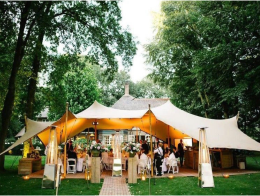 Tents South Africa was established in 1992 and has grown into a well-known and popular tents supplier by fulfilling our customer’s needs for pristine wedding tents and large functional tents for marketing events in our corporate clients’ parking lots. Since the establishment of the company, we have developed to be one of the very few specialized tents supplier and dealer in South Africa and nearby states by investing in the newest tent technology to fulfil our customers’ requirements. We have structured our company for success and focused ourselves on constantly improving our products and services, and as a result, have grown into one of the largest tents suppliers in the Southern Hemisphere over the years. We focus on the minor details to produce extremely successful events and happy customers. We can build customized tent according to customer’s requirement. One stop deal, optional accessories for the complete tent project. Supply the marquee tent to your destination port, or at your door step. We can offer tent installation video or installation manual. Long time warranty period to support your business in the future. 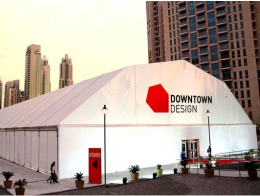 Our custom printing decorates designs on tents & marquee canopies bringing lively custom branding for your business. Copyright © 20-04-2019 09:19:14 Tents South Africa. All Rights Reserved.